1973 Was the first year for this new Section after the reorganization from Areas the year before. 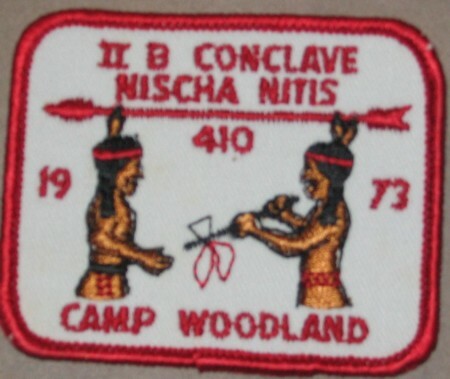 The first NE-2B Section conclave was held at Camp Woodlands and hosted by Nischa Nitas Lodge #410. Thanks to Tom Wadnola for the scans. 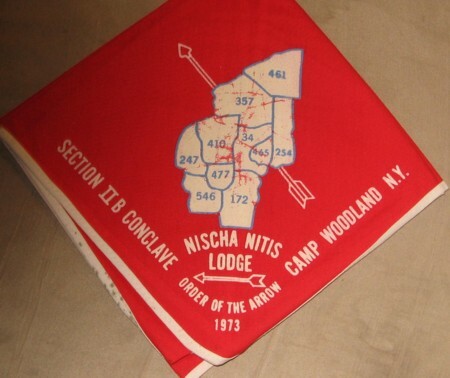 Monroe, LA is on this neckerchief? 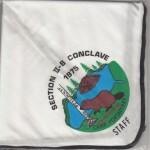 I attended this conclave and it is a misprint by the neckerchief supplier. The info was told to all when they got there packet.